5, the chain pad is made of special materials, featuring wear resistance, low noise, etc. 6, produced by an experienced production team, delivery on time, beautifully crafted. Rotary Pot Conveying Equipment Hot pot conveyor belt Sliding Sushi Equipment supply.Rotary Hot Pot Equipment conveyor belt running smoothly, low noise, long service life. The design is novel and beautiful, and different types of products can be designed according to different store requirements. According to the company's storefront operation experience, the equipment produced is more concerned with the overall operation of the store. The design is precise and does not start from the design of the equipment itself. Instead, it is designed according to the actual needs of the store operation and consumption positioning, which lays a solid foundation for the smooth operation of the store in the future. After-sales service is guaranteed, fault warranty.The Rotary Hot Pot Belt revolutionizes the traditional Chinese hot pot business model. It uses the rotary rotary hot pot to deliver dishes, eliminating the need for orders and food passes. In this novel, unique and innovative mode, it saves the labor cost of single store operations. At the same time, it improves the comfort of the dining environment and allows the customers to enjoy the delicious taste of the hot pot in a free and comfortable environment. Looking for ideal Fun Hot Pot Meal Conveyor Belt Manufacturer & supplier ? We have a wide selection at great prices to help you get creative. 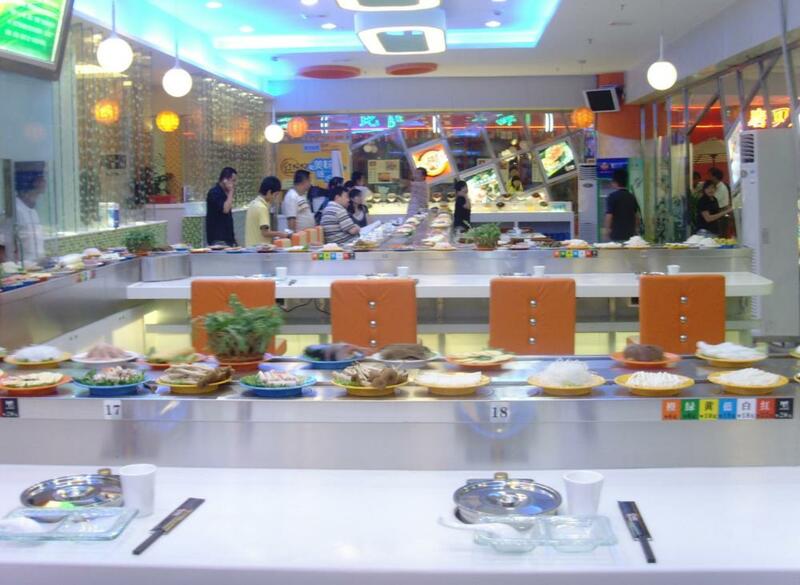 All the Conveyor Belt Hot Pot Restaurant are quality guaranteed. We are China Origin Factory of Definition Of Hot Pot Equipment. If you have any question, please feel free to contact us.